Are you the first one to laugh out loud or smile seconds after hearing a joke? If so, you may have been born with a sense of humor. In a recent study published in the journal Emotion, scientists have cracked the code and revealed those with a genetic variant of the gene 5-HTTLPR (serotonin-transporter-linked polymorphic region) are more likely show positive expressions, including laughing and smiling. Humor is common, but the ability is not shared by all people. Scientists believe these differences between people might be due to variations in DNA sequence, while others argue a sense of humor is a learned trait that can be influenced by either being around humor while growing up. This has led scientists to debate nature versus nurture when it comes to humor. 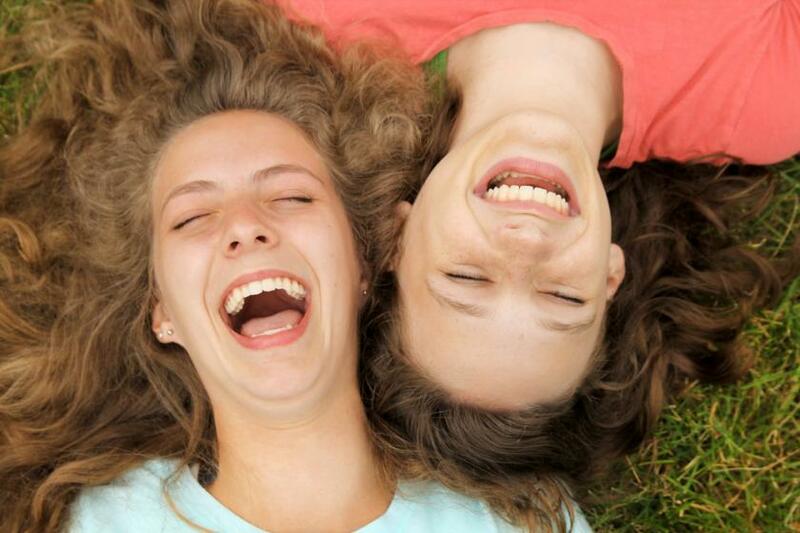 In an effort to determine how much humor is influenced by DNA, study authors Claudia M. Haase of Northwestern University and Ursula Beermann of the University of Geneva analyzed short and long alleles of the gene 5-HTTLPR, which regulates serotonin. A total of three experiments were conducted in the laboratories of Dacher Keltner and Robert W. Levenson at the University of California, Berkeley to observe the subtle signals of laughter and smiles. This helps distinguish real laughter and smiles from those people who sometimes smile or laugh — even when they don’t find something funny — just to be polite or to conceal negative feelings. In the first experiment, young adults were shown cartoons from The Far Side by Gary Larson and The New Yorker. Young, middle-aged, and older adults were asked to watch a subtly humorous scene from the film Strangers in Paradise in the second experiment. Lastly, the researchers asked middle-aged and older spouses to discuss an area of disagreement in their marriage for the final experiment. The volunteers’ responses were videotaped and decoded using the "Facial Action Coding System," which describes small movements in the face. Saliva samples were also collected to analyze the 5-HTTLPR gene. Overall, 336 participants were included in the final analysis of all three experiments. The findings revealed people with the short allele of 5-HTTLPR showed greater positive emotional expressions. Those who possessed this gene variant displayed greater genuine smiling and laughing than people with the long allele. The results held true even after researchers accounted for age, gender, ethnicity, and depressive symptoms. They also coincided with the belief the short allele of 5-HTTLPR is an emotional amplifier, meaning it can lead to heightened emotional susceptibility to environmental conditions. Haase warns the short allele should not be considered bad or risky. "Instead, the short allele amplifies emotional reactions to both good and bad environments," Haase said. "People with short alleles may flourish in a positive environment and suffer in a negative one, while people with long alleles are less sensitive to environmental conditions." However, the truth is genes do not have a final say when it comes to human emotion. Although you may be susceptible to certain emotions, it doesn’t mean you can’t modify them. For example, humor, is a combination of both nature and nurture. According to Levenson, "There's always an interaction between nature and nurture that shapes outcomes, and this study is another example of that." A 2000 study published in the journal Twin Research found a sense of humor is all nurture and not nature when it came to analyzing pairs of twins. The study used 127 pairs of female twins, 71 identical twins that shared 100 percent of their DNA and 56 fraternal twins that shared only 50 percent of their DNA. The pairs were taken into separate rooms and shown the same comic strips, which they were then asked to rate from 0-10, with 10 being the most hilarious. The findings revealed there was no difference between what the identical set of twins thought was comedic compared to the fraternal twins, although the fraternal twins were more likely to have similar responses than the identical twins. The question remains whether behavior is engrained in human DNA before birth, or is it the result of your response to experiences over time? There is an inevitable link between a gene and behavior, but there is no cause and effect. In other words, just because you may possess a gene that can lead you to behave a certain way, it doesn’t make you do things. So when it comes to a sense of humor, maybe you’re born with it or maybe you just have a sense of humor. Sources: Beerman U, Haase CM, Keltner DJ et al. Short Alleles, Bigger Smiles. Emotion. 2015. Cherkas L, Hochberg F, MacGregor AJ et al. Happy families: a twin study of humor. Twin Research. 2000.